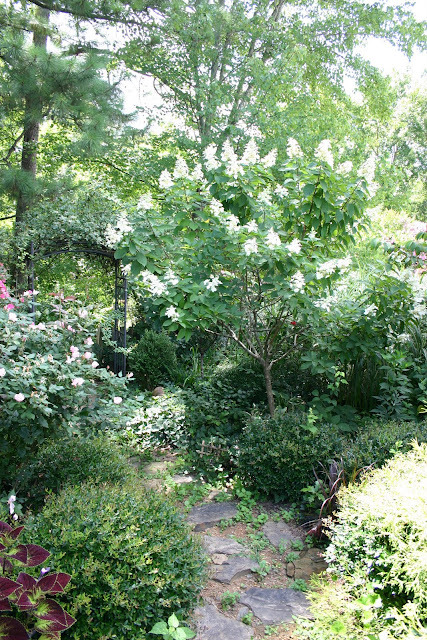 With everything revolving around "Buddha" lately, I have not posted any photos from the garden lately, so I thought I would rewind just a bit and show some pictures taken in the garden this summer. 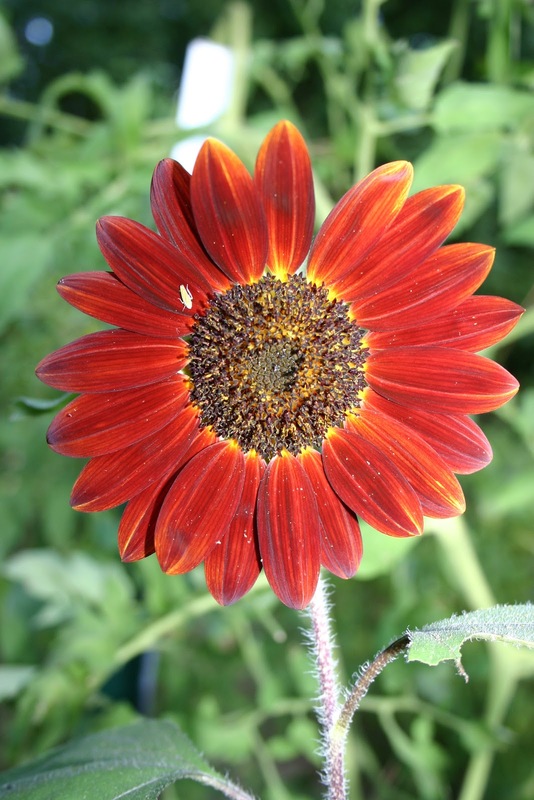 Currently blooming is the lovely sunflower Moulin Rouge. Finally, my new rainwater containers. They hold 65 gallons of water with a hose connection at the bottom. There is a planter on top that you can plant that has a self watering feature built-in. I bought two and have them on both sides of the garage. 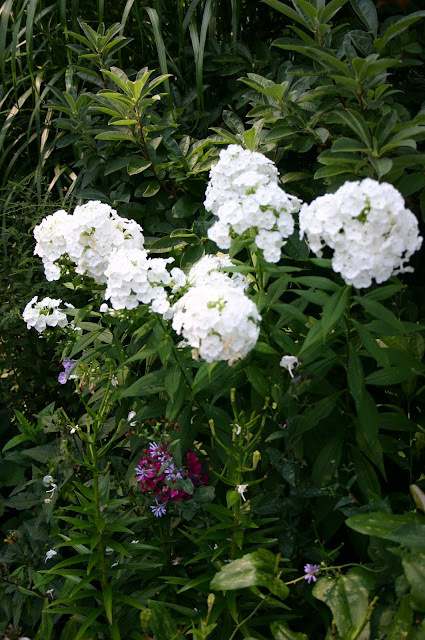 I have used them to water my hydrangeas in the lower garden through a soaker hose just using gravity to empty the containers. Love the name of your blog! Your flowers look so fresh, here in S. Middle Tennessee mine are pretty crispy. Thanks for sharing. Thanks Jennifer. I must confess I took most of these pictures earlier this summer. They are looking pretty stressed right now. I too frequent Lowe's clearance ranks almost weekly. There are some wonderful deals this time of year. I really enjoy your blog as well! Thanks for visiting. Great water container. Have'nt seen one with a planter on top. Great idea! 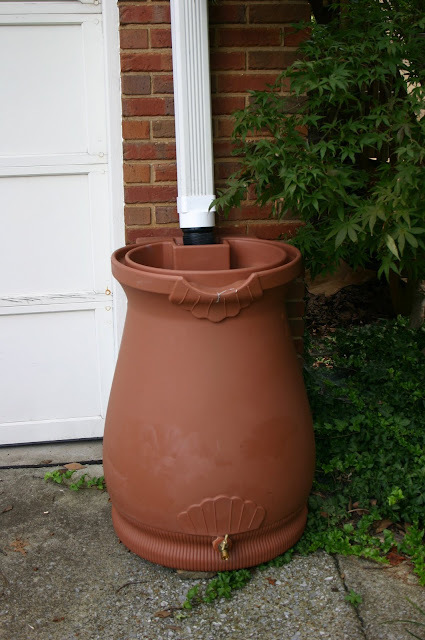 Love your water barrel...very nice design.